If you used H&R Block’s tax software last year to prepare your return, you can use the Past Return Import feature this year to import some of your personal information and carry forward amounts (such as your HBP/LLP amounts, unused tuition, moving expenses, and certain provincial tax credit amounts) from your 2016 return directly into your 2017 return – saving you time! Important: This feature is available to users of a paid package in the 2017 H&R Block Download or 2017 H&R Block Online tax software. However, if you used the Online tax software last year, you’ll only be able to import your information into the 2017 H&R Block Online software this year. The same is true for importing information into the 2017 H&R Block Download tax software. If you skip the carry forward process, you can find most of your carry forward information on your latest Notice of Assessment (NOA) or Notice of Reassessment (NOR). How do I import my information from last year’s return? 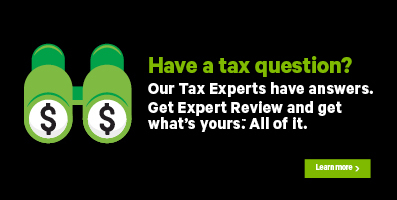 Before you begin, you’ll need to log into H&R Block’s 2017 tax software using the same account (username/email ID) that you used last year. If you’ve forgotten the username or password, refer to our help centre article on how to retrieve or reset these. Keep in mind, if you created an account last year but didn’t file your return through the H&R Block tax software, you won’t be able to import your information. If that’s the case, you also won’t be able to access your year-over-year comparison feature. On the Do you want to import a 2016 return? page, you’ll see the returns associated with your account. Click the Import link next to the return you want to import information from. You’ll be able to see all the information that was imported from your 2016 tax return. Click the Start Preparing my Return button at the bottom of the screen to enter your 2017 information. I’m using my mobile device to prepare my 2017 return. Can I still import my information from last year’s return? Absolutely! If you used H&R Block’s Online tax software last year and you want to import your information directly into this year’s return, all you need to do is follow the steps outlined in the section above.